Send warm Chanukah wishes with this 20-piece gourmet chocolate truffle gift box. The truffles are inset to form a Jewish Star for an elegant and festive presentation. 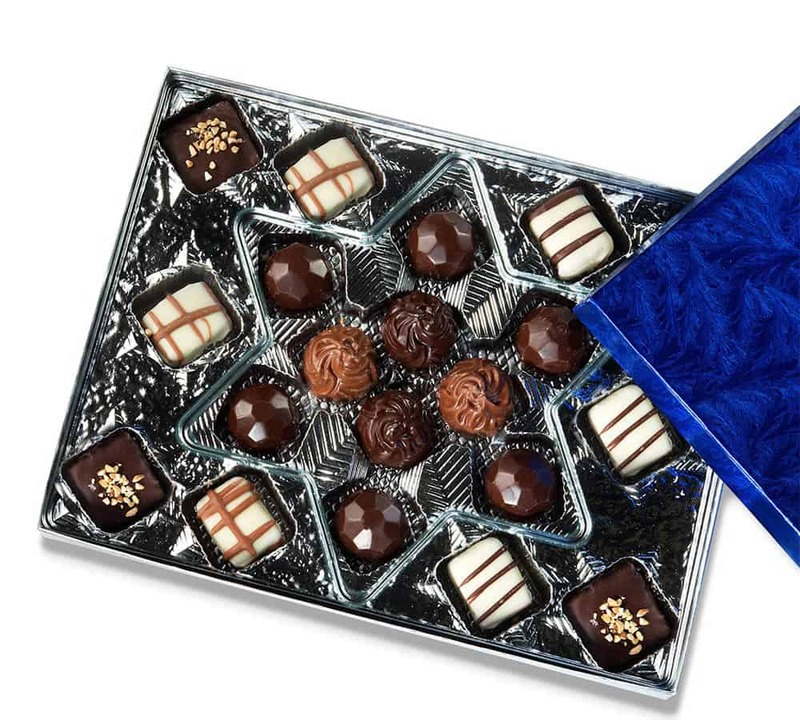 This gift includes dark chocolate crunchies, white chocolate crunchies, fudge bites, hazelnut diamond truffles, chocolate praline creams, white chocolate mochaccino truffles, and espresso truffles. What a delicious way to say Happy Chanukah. Gift box measures 10″W x 9″H x 1.25″D. Not recommended to be shipped to weather above 70 degrees.